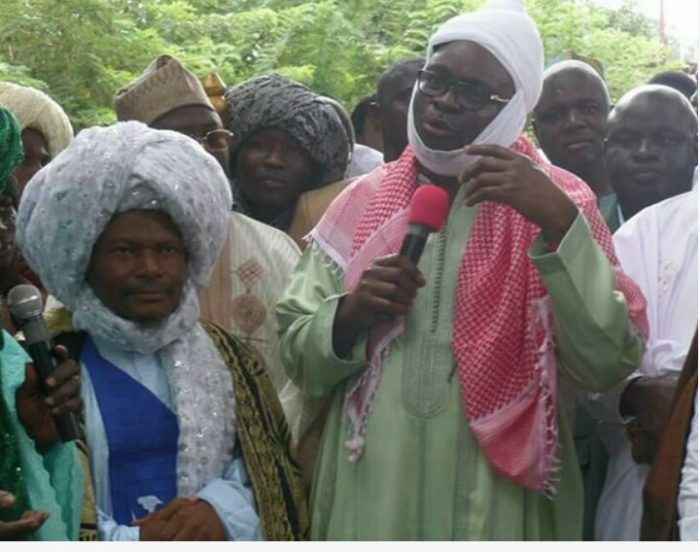 The Grand Imam of the League of Imams and Alfas in Southwest, Edo and Delta, Sheikh Bello, has said Governor Ayodele Fayose’s Islamic dressing was in obedience to Allah’s instructions. He added that the dressing was also in line with biblical injunctions. Bello spoke during the Eid-el-Kabir prayers on Friday, which Governor Fayose had attended. “The governor’s dressing was in obedience to Allah’s instructions. “This dressing shows that the governor is not discriminating against any religion. Your Excellency, your dressing is even in line with Biblical injunctions,” Bello noted. “If you check the book of Zecharias 3:3, the Bible says, ‘We removed unclean clothes from Joshua, we washed him clean and he was dressed with a clean turban on his head and God’s angel stood by him.’ “Our governor, as you wore the turban on your head, the angel of God is already with you and that is why you are succeeding in all that you do, against all odds,” Bello added. In response, Fayose said, “I got elected by everyone’s vote. Choice of religion is free. As a leader, appearing in a Muslim regalia with a turban is to say that I must be part of everything the Muslims do and make then realise that we are all one family. “I will also ensure that all their demands today are met.” Governor Fayose had joined Muslims for the Eid-el-Kabir prayers on Friday, while formally attired in Islamic dress code, complete with a turban and a string of praying beads.